As you know, Crackerbox & So Suzy Stamps is collaborating with Rinea Foiled papers this month. The papers are great quality and not at all flimsy. They are quite fun to create with! 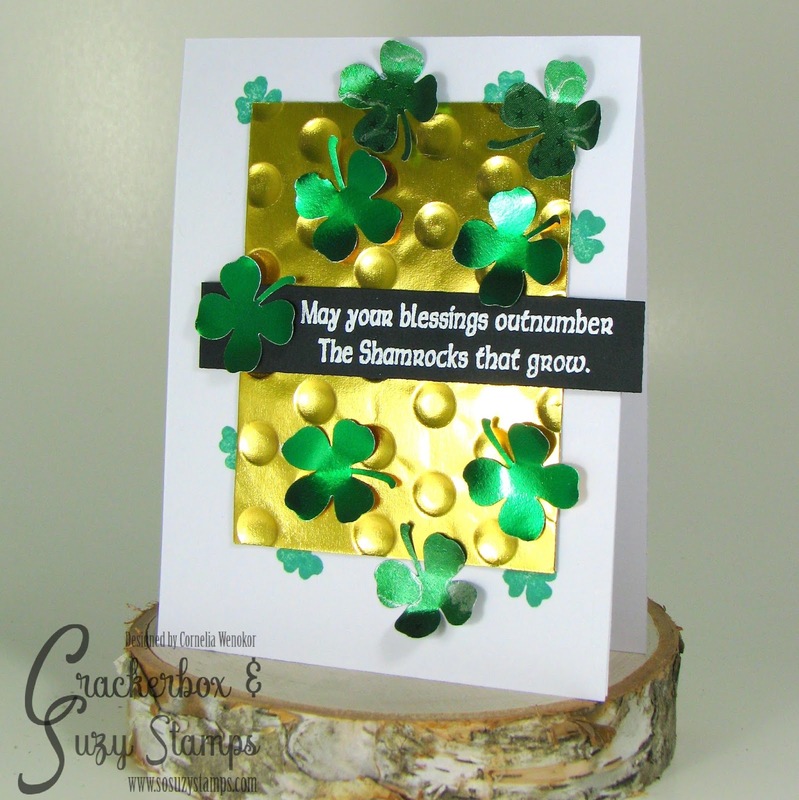 Since this month we are promoting St. Patrick's Day stamps (they are 30% off this month) I thought I make a card for the occasion. 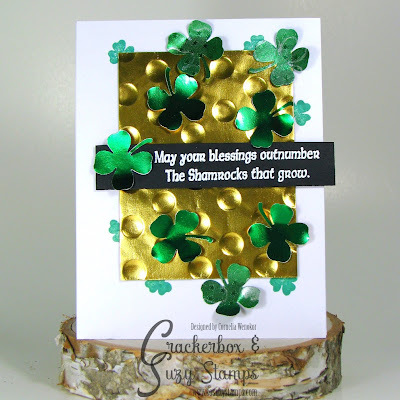 I dry embossed one of those lovely papers and punched out a few shamrocks. I also stamped a few small shamrocks and added the heat embossed sentiment - I mounted that with foam tape. I hope your day will be a blessed one!